Our landscape class met at Alcazar Garden in Balboa Park. I had fun sketching the other artists as they worked between the hedges. This is a gouache and pastel sketch. 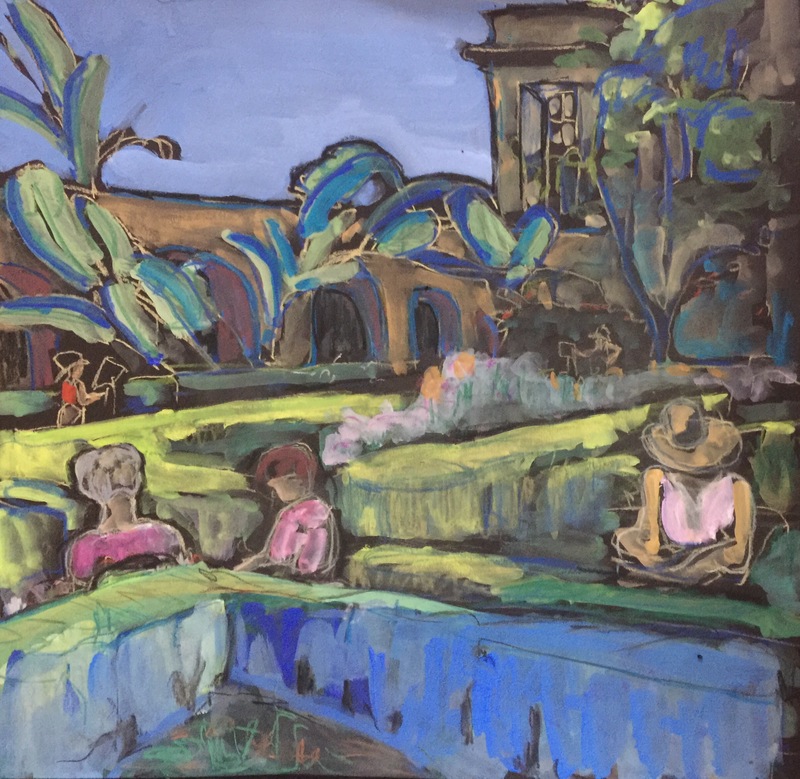 This entry was posted in Groups Interacting, Landscape, Uncategorized and tagged Alcazar Garden, Balboa Park, Gouache, San Diego. Bookmark the permalink.